Read on to learn why retainers are critical after braces, and what can happen if you don’t wear yours! What Happens If I Don’t Wear a Retainer After Braces? Braces move your teeth slowly and gently into the position that your orthodontist finds ideal for a healthy mouth. But even after months or years of orthodontic treatment, they won’t be “locked” into place. When you remove your braces, you remove the force that was holding them in their ideal placement. Once that brace is gone, they’ll tend to shift back. This is called relapse. Relapse can ruin the time and money you spent correcting your smile throughout your orthodontic treatment. In the worst cases, it can leave your mouth just as vulnerable as it was before treatment. Most patients will experience some degree of relapse after removing braces. So, you may still be wondering “Why do you need a retainer if they can’t prevent relapse?” The truth is that retainers prevent the most serious cases of relapse. While a slight relapse is expected, without a retainer, you will lose a significant amount of progress. Ultimately, a retainer keeps your teeth as close to their ideal position as possible following treatment. If you ignore your orthodontist’s warnings to use your retainer, especially for the few months after your braces come off, you will likely run into issues with your alignment again. How Long Do You Need a Retainer? Immediately following the removal of your braces, you will need to wear your retainer for most of the day. Outside of eating and drinks, it’s a good idea to have the retainer in for at least 22 hours. This can last anywhere from three to six months for the average person, but each case varies. When your orthodontist becomes confident that your teeth are relatively stable, you won’t have to wear your retainer during the day. From this point, you are recommended to wear your retainer only at night. To protect your teeth from additional shifting, you will want to continue this practice for the rest of your life. 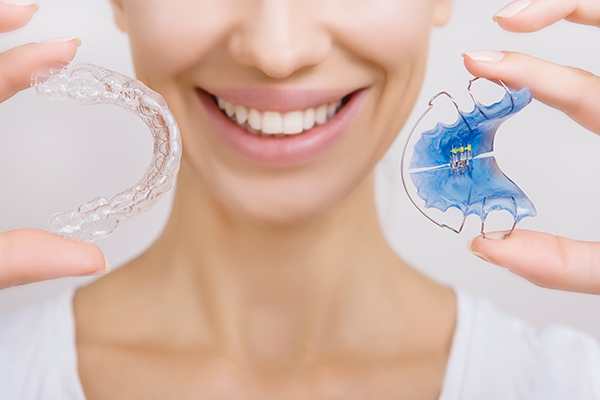 Are There Different Types of Retainers? Removable retainers are a common type of retainer that can be, as their name implies, removed as the wearer needs. This allows you to wear them throughout the day, but still take them out for eating, drinking and brushing your teeth. Removable retainers come in different types as well. Traditional Hawley retainers are larger and very durable. Their biggest benefit comes in the ability for the orthodontist to make slight adjustments with them to help keep your teeth in their ideal position without needing to revert to braces. Some other retainers are clear and slip right over your teeth, similar to how Invisalign aligners look. These can be a subtler option, and some consider them more comfortable to wear. It’s important to remember that just because the retainer is removable, you shouldn’t spend too much time without it in. Your orthodontist will give you instructions for how often to wear it. Another type of retainer is the fixed lingual retainer. Your orthodontist will bond a wire to the back of your teeth that will stay in place. These retainers are easier to wear in the sense that you can’t remove them or lose them. If you have a permanent retainer, you need to take extra care to keep it clean. The wire can be another place for bacteria to attach and grow. This is no different than the extra care you took when maintaining your braces. Read our guide on cleaning retainers for more help with taking care of your retainer! This entry was posted in Adult Orthodontics, Braces, Oral Health Tips, Orthodontic Appliances and tagged Braces, retainer, Retainer Care. Bookmark the permalink. Follow any comments here with the RSS feed for this post. Both comments and trackbacks are currently closed.